Silent Hill hasn't seen retail shops for a while now, but that ended today as Downpour released into stores. Silent Hill: Downpour actually sounds like one of the more interesting plotlines in the game series' history. 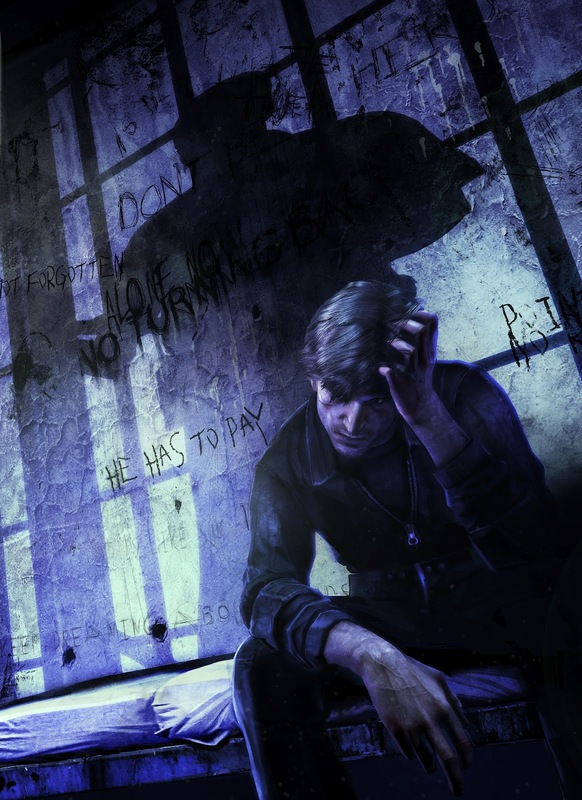 SILENT HILL DOWNPOUR follows the story of Murphy Pendleton, a convicted felon, who has been incarcerated for several years. Due to his history at Ryall State Prison, he is being transferred to nearby Wayside Maximum Security Penitentiary—but a freak accident cuts the journey short. Waking up in a forest next to the wrecked bus, Murphy has a clear shot at freedom; unfortunately he makes his way into the sleepy town of Silent Hill where mysterious locals welcome him into a slowly developing personal hell. The game has the muscle of the Unreal 3 engine behind it and features a free roaming environment. There's also an emphasis on exploration that I can't really remember appearing in the games before and the addition of side quests that Murphy can choose to embark upon that almost gives Downpour an RPG flavor. Downpour also kicks off Konami's 'Month of Horror' as not one, not two, but three Silent Hill titles will debut in March. Aside from this one, there's also the HD Collection (that includes SH 2&3), and Book of Memories. BoM is the series' first foray onto the PS Vita and first portable adventure since the PSP's Shattered Memories.